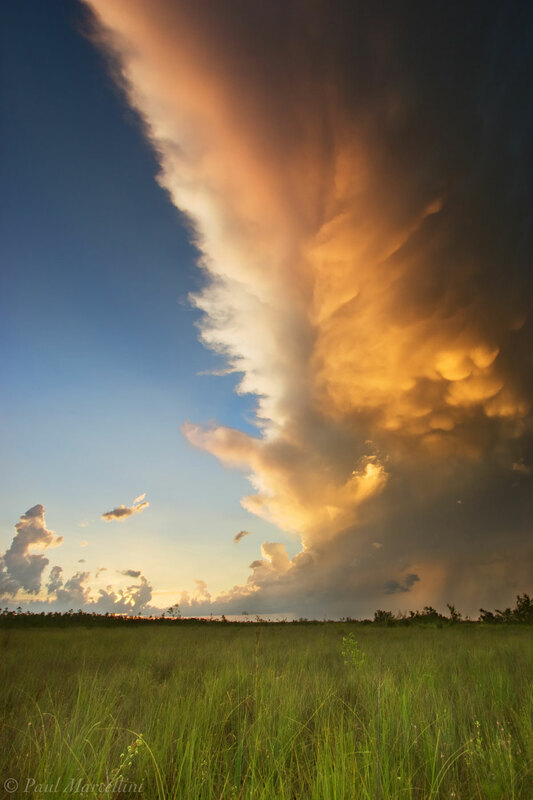 One of the first summer storm captured when i began photographing the Everglades. This was a giant wall moving east to west at sunset. Photo © copyright by Paul Marcellini.